Stem cell factor (SCF) is an early-acting cytokine that plays a pivotal role in the regulation of embryonic and adult hematopoiesis. 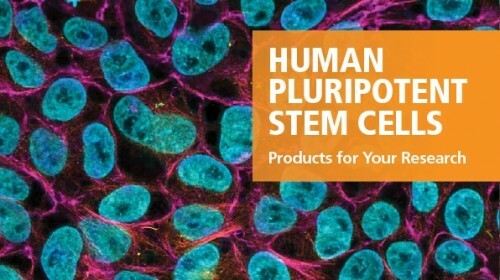 SCF promotes cell survival, proliferation, differentiation, adhesion, and functional activation of cells at multiple levels of the hematopoietic hierarchy. Together with other cytokines such as thrombopoietin and Flt3/Flk-2 Ligand, SCF is commonly used to promote expansion of primitive hematopoietic stem cells and multi-potent progenitor cells in culture (Martin et al. ; Kent et al.). 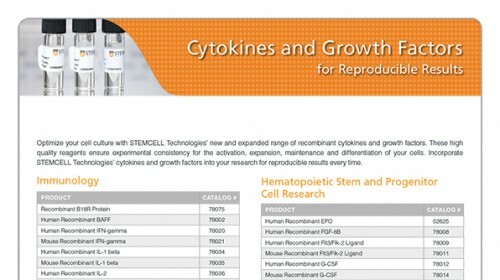 In synergy with various growth factors, including IL-2, IL-3, IL-6, IL-7, G-CSF, and erythropoietin, SCF increases proliferation and differentiation of myeloid and erythroid progenitor cells and a subset of lymphoid progenitor cells (Broudy). SCF is also a primary growth and activation factor for mast cells and eosinophils. SCF exists in two biologically active splice forms: a soluble and a transmembrane isoform. Upon binding to its receptor (c-Kit tyrosine kinase receptor; CD117), it activates PI3K, JAK/STAT, and MAPK pathways. SCF and signaling from c-Kit have also been reported to play an important role in pigmentation, fertility, vasculogenesis, motility of the gut via c-Kit positive interstitial cells of Cajal, and in the migration of neuronal stem and progenitor cells to sites of injury in the brain. (A) The biological activity of Human Recombinant SCF was tested by its ability to promote the proliferation of TF-1 cells. Cell proliferation was measured after 72 hours of culture using a fluorometric assay method. The EC50 is defined as the effective concentration of the growth factor at which cell proliferation is at 50% of maximum. The EC50 in the above example is 1 ng/mL. (B) 1 μg of Human Recombinant SCF was resolved with SDS-PAGE under reducing (+) and non-reducing (-) conditions and visualized by Coomassie Blue staining. 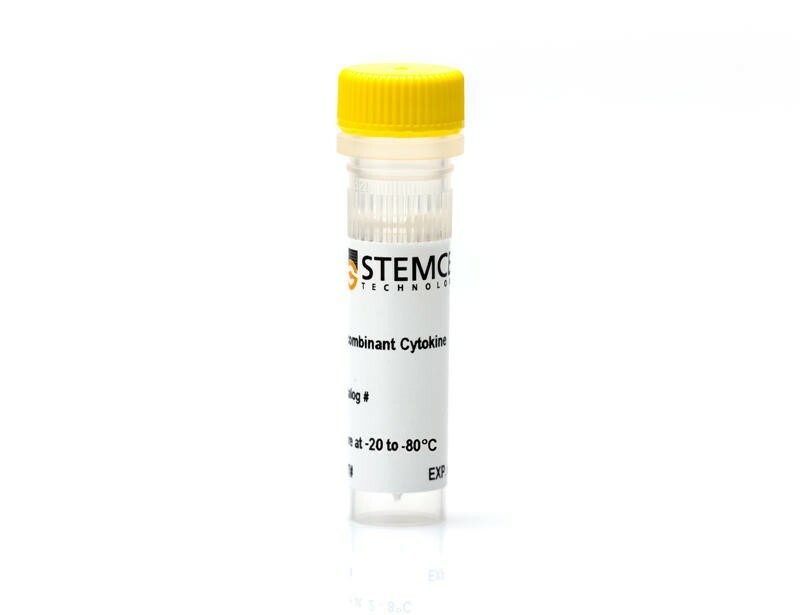 Human Recombinant SCF has a predicted molecular mass of 18.6 kDa.